Tijana Ivanovic and Maria-Eirini Pandelia have joined the Biochemistry department. Both of the new faculty members will begin at Brandeis in January 2016. 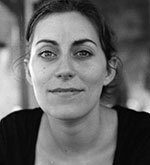 Tijana Ivanovic, is currently a postdoc at Harvard Medical School. Stephen C. Harrison is her advisor. She received her PhD in Virology from HMS and her BS in Microbiology and Molecular Genetics from UCLA. 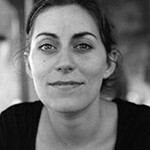 Her research focuses on uncovering fundamental molecular mechanisms of virus translocation across biological membranes, in the distinct contexts of enveloped-virus membrane fusion and nonenveloped-virus membrane penetration. She applies and develops advanced biophysical and biochemical approaches and combines them with those of virology, molecular biology and cell biology. Dr. Ivanovic received a grant from the L’Oréal USA For Women in Science fellowship program in 2011. Maria-Eirini Pandelia‘s ‘scientific journey’ started from Greece, where she received her undergraduate degree in Physics from the University of Patras and master of sciences degree in applied Mathematics and Physics from the National Technical University of Athens. She carried out her graduate studies in Germany at the Max-Planck Institute (MPI) of Chemical Energy Conversion (formerly known as MPI for Bioinorganic Chemistry) and received her doctoral degree from the Technical University of Berlin. This was followed by 3 years as a postdoc at PennState University in the Bollinger/Krebs laboratory. Her research lies in the interface of Chemistry, Biology and Physics with particular focus on the study of metalloenzymes. 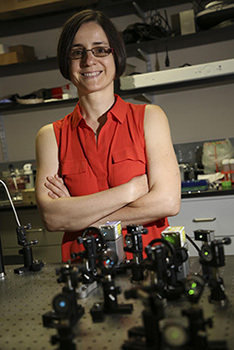 Her work encompasses the combination of spectroscopic and biophysical techniques together with structural biology and phylogenetics to address the modus operandi of metalloproteins and bioinorganic complexes. Her main expertise is in Mössbauer and EPR spectroscopies coupled to time-resolved kinetics (optical, FTIR) and redox potentiometry. She is interested in understanding how diverse enzymes carry out their bio-transformations and how reaction selectivity in homologous proteins is achieved. Maria-Eirini’s work at Brandeis will be centered on delineating the mechanisms according to which metalloproteins involved in processes essential for life perform the activation of small (or larger) molecules, how the specific identity of the metals in the active sites allows their chemical diversion and selectivity and what the functional role of iron-sulfur clusters in proteins involved in DNA synthesis and repair is.